As is often the case with Analysis Workspace (in Adobe Analytics), you stumble upon new features accidentally. Hopefully, by now you have learned the rule of “when in doubt, right-click” when using Analysis Workspace, but for other new features, I recommend reading Adobe’s release notes and subscribing to the Adobe Analytics YouTube Channel. 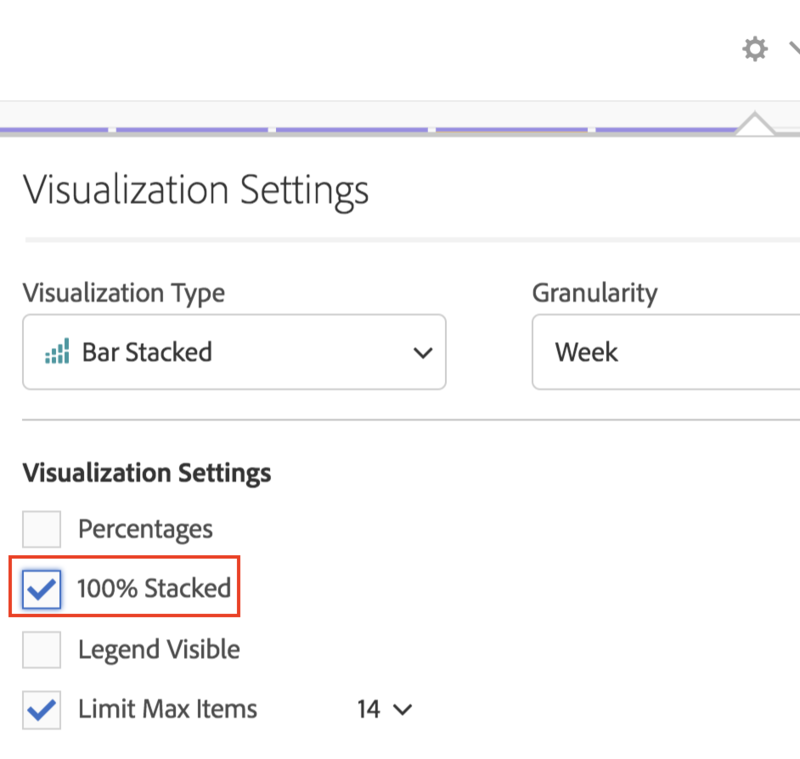 Recently, the ability to use 100% stacked bar charts was added to Analysis Workspace, so I thought I’d give it a spin. This type of chart allows you to see overall trends in performance over time. In some respects, you can also get a sense of which elements are going up and down over time, but since the data goes up and down each week, it can be tricky to be exact in the percentage changes. For this reason, Adobe has added a 100% stacked bar visualization. 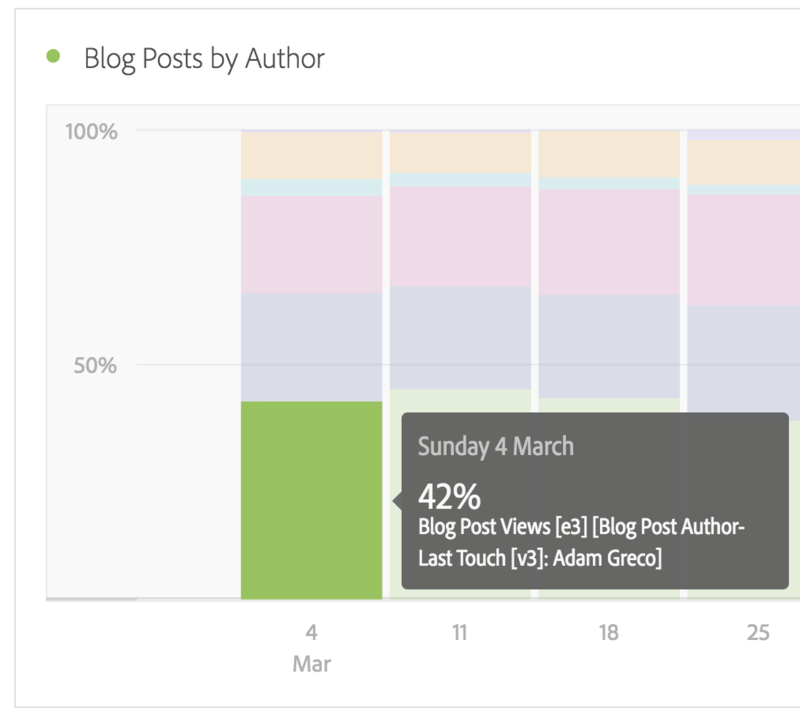 This visualization stretches the elements in your chart to 100% and shifts the graph from raw numbers to percentages (of the items being graphed, not all items necessarily). This allows you to more accurately gauge how each element is changing over time.